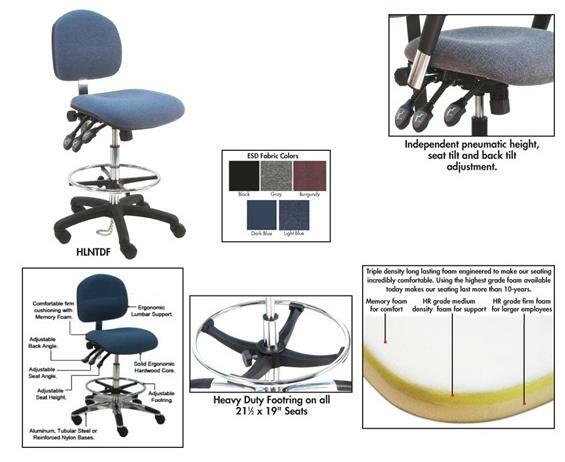 BenchPro™ ESD Fabric Industrial Chairs | Latta Equipment Company, Inc. Build your chair! Add casters or optional arm supports from the chart depending on your business needs. BenchPro™ seating uses the highest grade fabrics (250,000 double rub wear resistant fabric). Cushions are ergonomically contoured for long term comfort and the seats have a waterfall front edge for increased blood flow. Built-in lower lumbar gives added back support. Extra wide, heavy duty base increases stability. Chairs with tilt: seat tilts 6 degrees forward, 6 degrees rearward, back tilts 15 degrees backward and 11 degrees forward. All products meet and exceed ANSI/BIFMA, CA117, GSA and DIN standards. No-tools assembly. FOB Shipping Point. 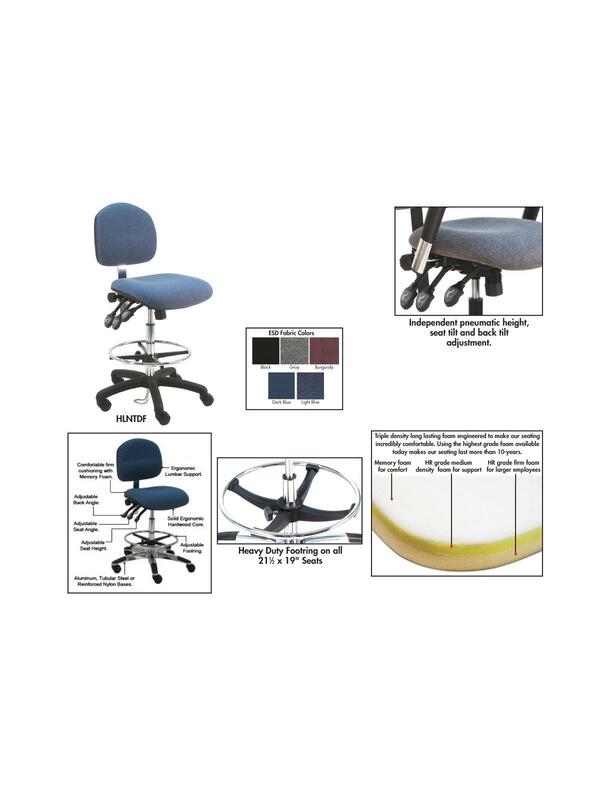 See Related Items tab for Benchpro™ Deluxe Polyurethan Industrial Chairs, Benchpro™ ESD Cleanroom Industrial Chairs and Benchpro™ Fabric Industrial Chairs.